I will enrich your life and renew your youth like the eagle's. Eagles go through a molting process where they shed their old feathers and grow new ones. This process is necessary in the rejuvenation of the eagle so it can continue to remain strong. In Psalm 103:5, King David tells us that the Lord will satisfy us with good things and will renew our youth in the same way that the eagle renews its feathers. No matter how old we get, our God and Father promises to continue to renew our inner being so that we will have a spring in our step, a sparkle in our eye, and a sense of awe and wonder about life. 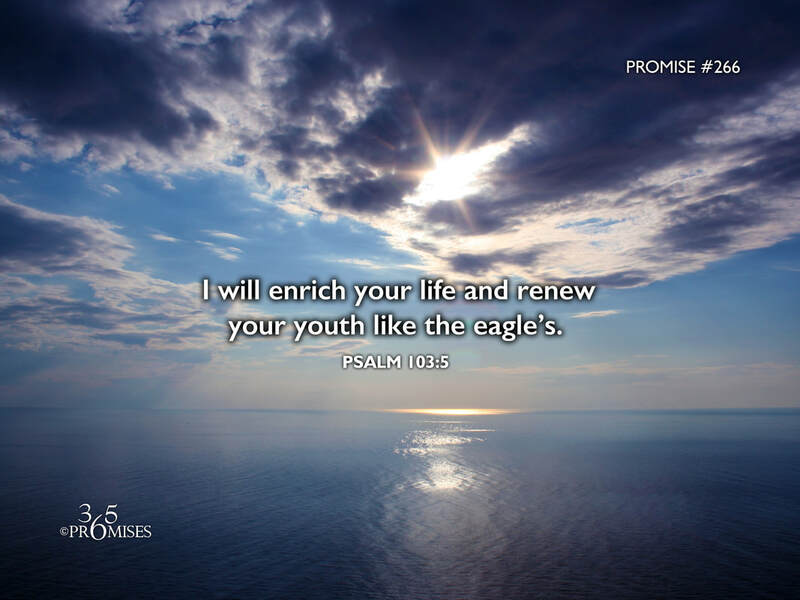 May each one of us hold fast to this promise and not dread our future, but look forward to the renewing process where our youth will be renewed just like the eagle's!